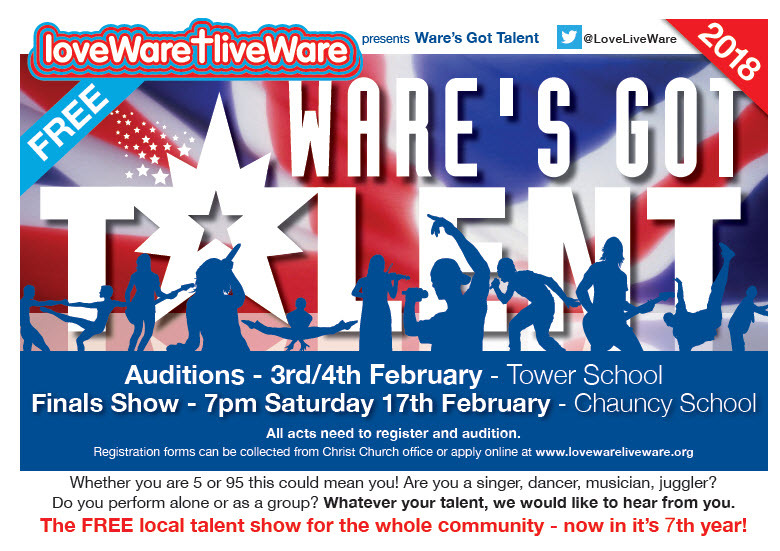 Returning for a seventh year on 17th February in 2018, the finals of the free community show “Ware’s Got Talent” will take place at Chauncy Hall. Doors open at 7pm, curtain-up at 7:30pm. No tickets required – free entry for all to this fun family show. Free cake and refreshments will be served in the interval. Special thanks to Chauncy School for hosting the LWLW event every year since 2010.